The 2015 European YoYo Championship is coming, and it’s time to start getting stoked! Check out this teaser from the organizers…hopefully we’ll see you in Poland! 2014 US National YoYo Champion Zac Rubino got in some filming recently…check out the cleanest one-minute of solid offstring play you’re going to see all month. 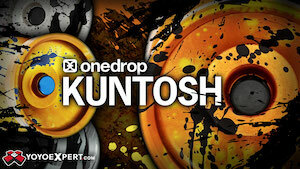 Yoyo used is the Duncan Skyhawk. 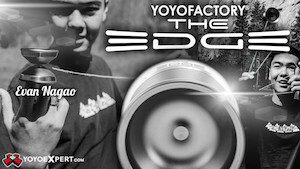 C3YoYoDesign has announced a massive upgrade to their Berserker model…the redesigned Berserker SS. Check out the specs and their full press release below, filled to the brim with exclamation points!! C3yoyodesign 2014 New Benchmark – Bereserker SS(Stainless Steel)!!! 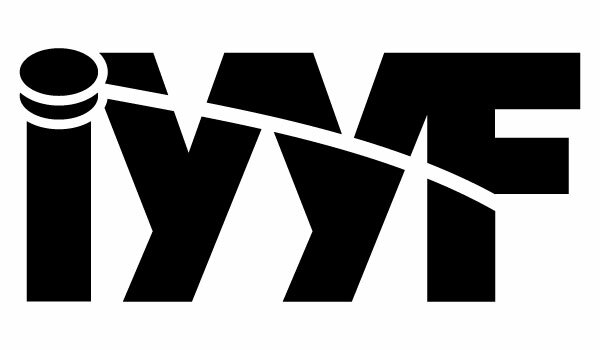 In early 2012, Berserker was released as the ultimate design for Peter Pong to capture his first International Champion in EYYC Open. This is a major milestone of C3yoyodesign and also create the new trend of Professional Bi-metal yoyo design for contest players. A year later, we re-design Berserker to Berserker RX. With more experience and better craftsmanship, “Berserker Series” set up the New Standard for Bi-metal design in the market. 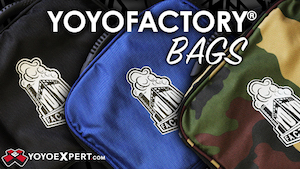 Before the end of 2014, we combined Berserker and Berserker RX with some new mindset of yoyo design. After a year of prototyping and testing, we proudly present to you the NEW LEGENDARY DESIGN: Berserker SS(Stainless Steel)!!! Based on the “Step Curve” shape of previous versions, we reduced the curve area to increase the straight area for larger trapeze width, provide faster and easier control of speed. On Berserker SS, weight of the stainless steel rings give an extreme weight distribution. Thin body gives enough strength to hold the rings without adding extra weight. To give the best performance, Genuine Dif-e-Yo KonKave bearing and larger diameter 8mm stainless steel axle is used. Compare with all the contest designs of C3yoyodesign, Berserker SS has the most powerful spin power, best spinning time and strongest binding. You can easily control without worrying about the loss of spin power! Along the tradition of Berserker Series, Berserker SS is a Bi-metal design of Stainless Steel ring smooth and perfectly attached with the 6061 body. Experience machining, anodizing and quality control, Berserker SS is the LEGENDARY MASTER PIECE either on the stage or off the stage!!! BerserkerSS – SS is abbreviation of Stainless Steel. 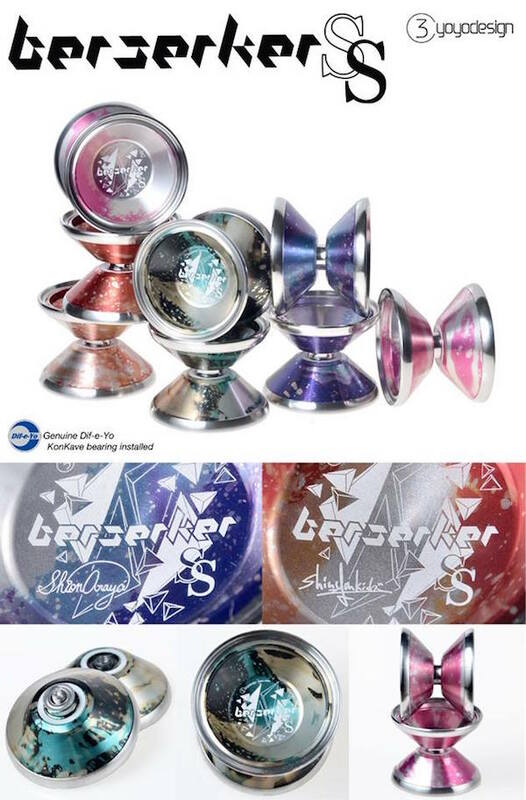 BerserkerSS will have Team C3yoyodesign Japan member Shinya Kido and Shion Araya edition in the first release!!! First Release! 2014.Nov.2!!! Sapporo, Hokkaido, Japan, EZONE!! !